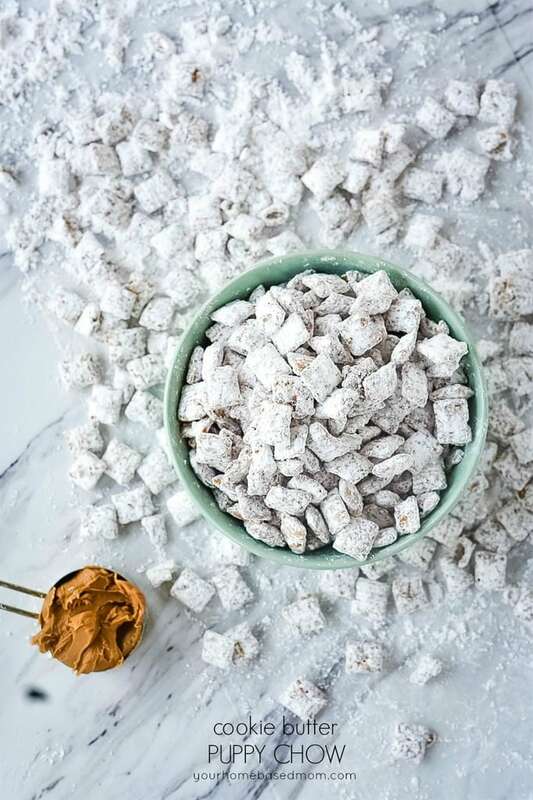 Cookie Butter Puppy Chow is a classic holiday treat that is always a crowd pleaser. 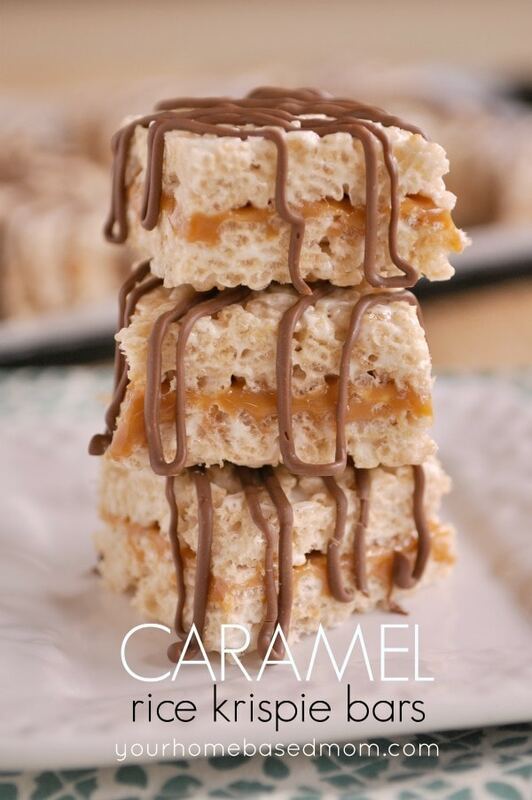 It’s quick to make and only has four ingredients. Why Do They Call It Puppy Chow? 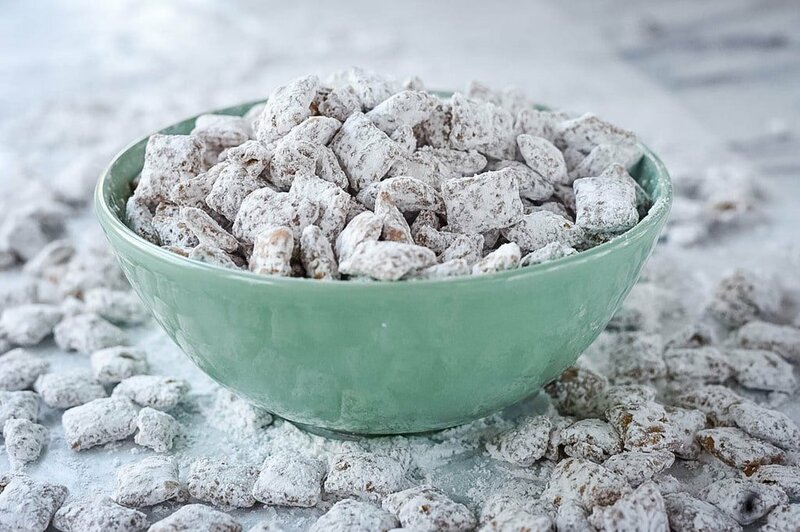 Puppy Chow is also known by several other names. 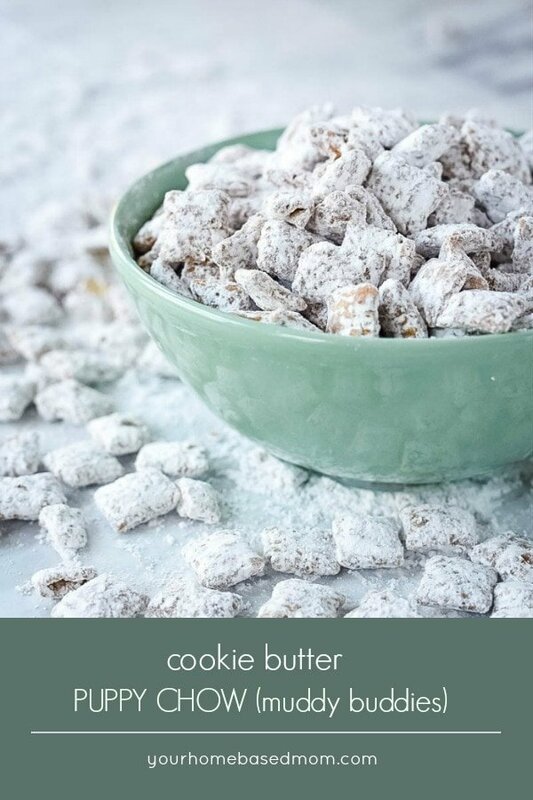 Maybe you know it as Muddy Buddies, Monkey Munch, Muddy Munch or Reindeer Chow. I’m sticking with Puppy Chow! What is in Puppy Chow? Puppy Chow is traditionally a combination of cereal (Chex), peanut butter, chocolate and powdered sugar. I like to play around with the ingredients though and I have found my favorite combination is cookie butter, cinnamon chips, Chex rice cereal and powdered sugar. 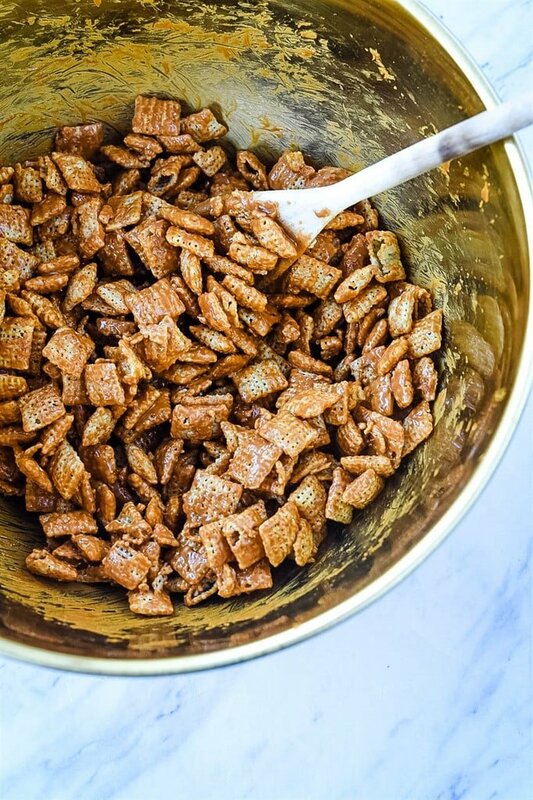 The trick to great Puppy Chow is making sure the cereal gets nice and coated with cookie butter and melted cinnamon chips. Don’t over stir because you don’t want to break up the cereal pieces, so stir gently. How Do You Make Cookie Butter Puppy Chow? No baking or cooking required – just a microwave! Melt your cookie butter, cinnamon chips and butter in the microwave and pour over your cereal. The trick to great Puppy Chow is making sure the cereal gets nice and coated with the melted mixture. Don’t over stir because you don’t want to break up the cereal pieces, so stir gently. 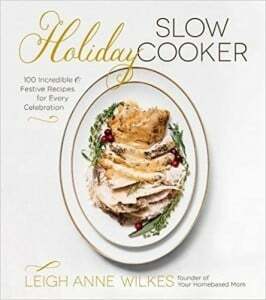 Next, be sure you have enough powdered sugar. Put the powdered sugar into a zip lock bag and then add in the coated cereal. Seal up the bag and toss to coat. Get it good and coated. 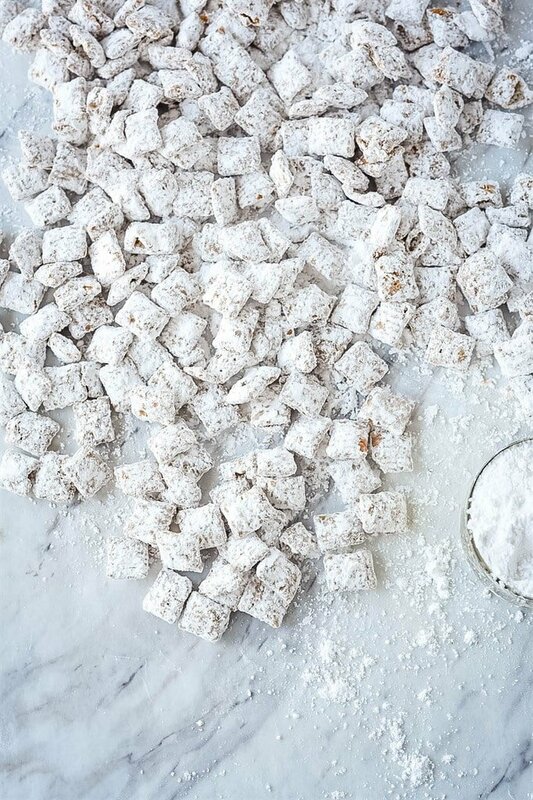 You want every piece covered in powdered sugar! Then spread it out on a piece of wax paper and let it set up. It won’t take long. The hardest part of making puppy chow is not eating it all yourself! This stuff is addictive and the combo of cookie butter and cinnamon chips is amazing. I like the peanut butter version but I think the cookie butter puppy chow wins best of show! One suggestion though, don’t try and sneak Cookie Butter Puppy Chow while wearing black because everyone will know what you’ve been doing thanks to all that powdered sugar. 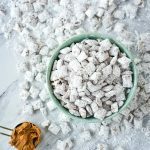 Cookie Butter Puppy Chow is perfect for holiday gift giving. 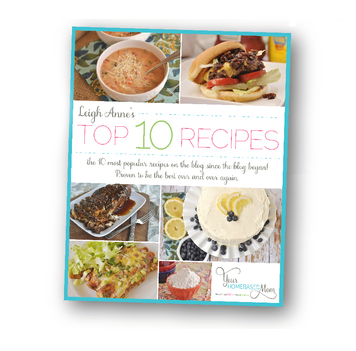 Package it up nice and cute and your neighbors will love you! 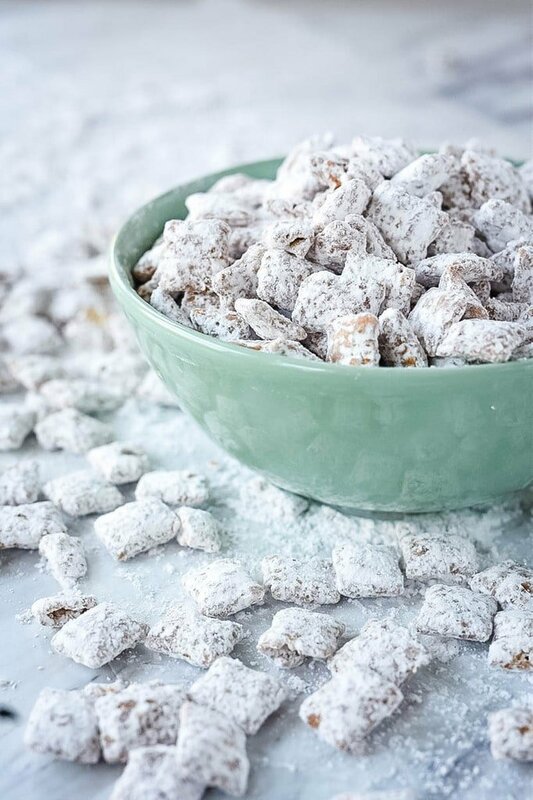 Puppy Chow is a classic holiday treat that is always a crowd pleaser. 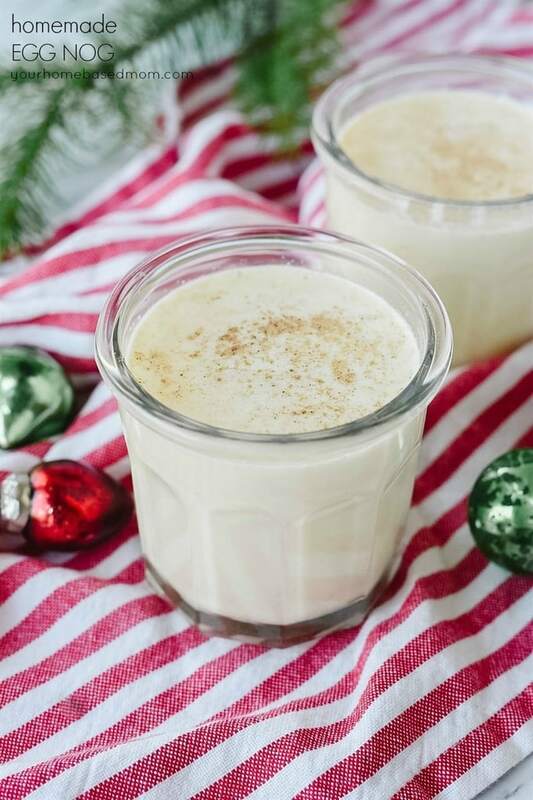 It's quick to make and only has four ingredients. In a microwave safe bowl combine cookie butter, chips and butter. Cook in microwave until melted. Stir a few times. Pour melted mixture over cereal and gently stir to totally coat cereal. 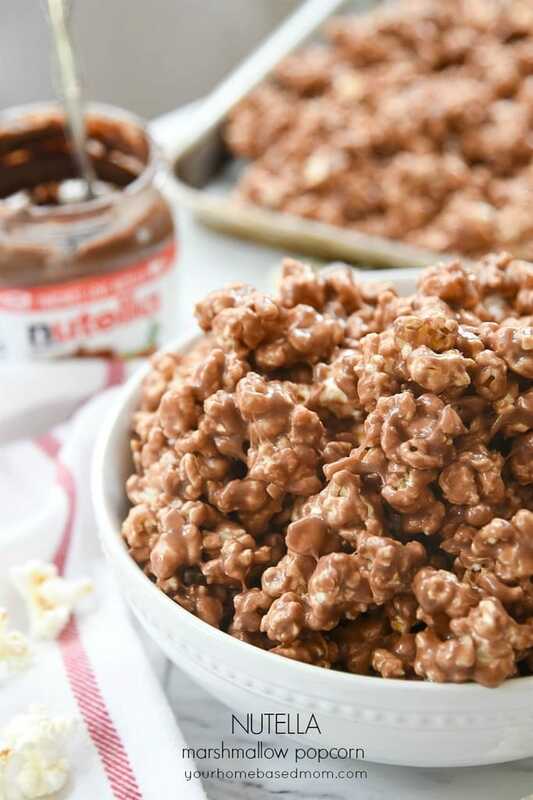 Place powdered sugar in a large zippered plastic bag and add in coated cereal. Toss to coat with sugar. 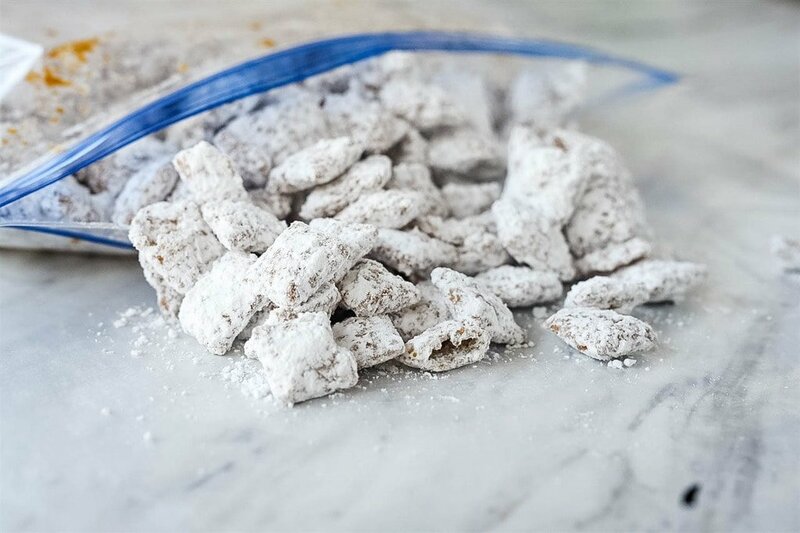 Spread puppy chow onto a large piece of wax paper and allow it to set up. Store in an airtight container. Will last a few days if you are lucky! What is Cookie Butter? Is it in the Supermarket?